In this interview, Dr Usman Iqbal, head of Oncology Global Evidence &amp, Value Development at Sanofi, discusses market access in oncology and how to demonstrate value in this area in the US health system. Dr Usman Iqbal is responsible for developing product value for Sanofi’s oncology / hematology portfolio. He achieves this through strategic development, execution and translation of evidence based research throughout the lifecycle of the products. 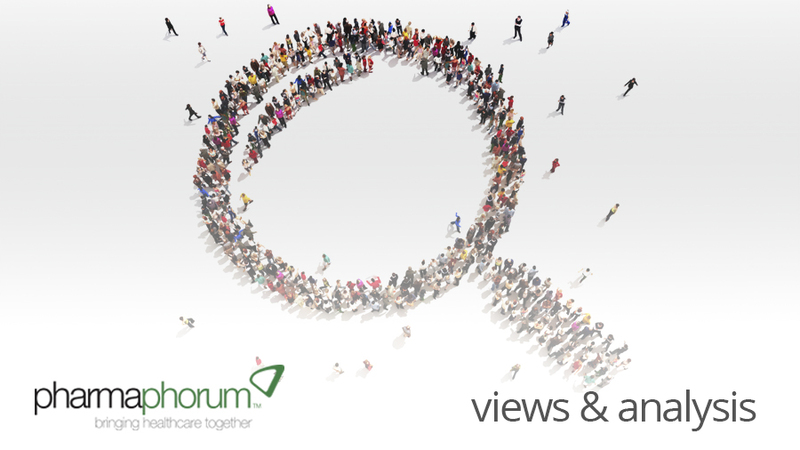 As an expert in medical value development and patient access in oncology, he speaks here with pharmaphorum around challenges within that space. RA: What is the biggest challenge to oncology product uptake? UI: The biggest challenge for oncology product uptake is the inability of current products to show differentiation and relative medical value against the competition. There are just too many compounds in oncology / hematology with similar mechanisms of actions and that target the same pathways with competing indications. Target Product Profiles are still mostly built on with a focus on regulatory approvals without taking into account any element of comparative effectiveness and an “end in mind” strategy. Eventually this is leading too many high priced “me-too” products with not much element of differentiation explicitly defined, developed or communicated to the stakeholders. Hence, in an era of relative effectiveness and value-based pricing , it is becoming increasingly important, but difficult at the same time, for payers and decision makers to base judicious coverage and reimbursement decisions for new oncology products on evidence-based value differentials. RA: What would your key piece of advice be for demonstrating value for new oncology products? UI: Patient-centered outcomes and humanistic experiences have become central to the vision of a high value health delivery system. The fundamental element in demonstrating value for new oncology products is to incorporate the patient perspective into oncology clinical programs early on and in a systematic, rigorous and evidence based fashion. Keeping patients at the centre of any developmental strategy is also going to inherently translate into better business results for new products. The fundamental needs of cancer patients are to live longer while maintaining their health-related quality of life. On the provider and payer front, incremental gains in survival have also to be met without any decrease in the quality of life, to constitute optimal and cost-effective disease management. Hence, statistically significant p-values on survival are simply not enough to represent basic fundamental parameters of the customer value chain in oncology. Products representing both clinical as well as patient reported / health-related quality of life endpoints will have the ability to impart the patient centric core value to the product profiles, differentiate from the competition and avoid the imminent asset bubble likely to be experienced soon in oncology. RA: What advice would you offer on developing a compelling value proposition in the US healthcare system? UI: The US healthcare system is fast evolving from a fee-for-service transactional payment model to a value-based purchasing model focused on health outcomes and quality improvement . The healthcare reforms and the comparative effectiveness paradigm in the US is influencing payer evaluations and financing on several fronts. Most important, is the advent of accountable car organizations (ACOs), and payment reforms involving fixed bundled provider payments that will cover all services for a specific tumor including drugs and biologics in the future. Hence, products that demonstrate the best value profile from a clinical and comparative effectiveness perspective, and / or deliver a focused solution while supporting optimal utilization will be preferred. Secondly, Real World Research (RWR) is the key to demonstrating unmet need and limitations of current therapies, and positioning an evidence-based value proposition for new products. Payer awareness of the real-world effectiveness of current therapies can be low depending on their prioritization aspects in specific disease areas and / or indications. However, while evaluating new therapies, US payers almost always look for outcomes data in their own population demonstrating product differentiation, and / or grounds for favorable economics and treatment effectiveness against the competition. Hence, systematic and evidence-based understanding of unmet need and burden of the disease supported by robust real-world research catered to specific population and US payer arch types (e.g. CMS, managed care, VA / DOD) is also necessary for a compelling product value proposition. RA: What do you see to be the biggest challenge to integrating payer’s requirements into product development? UI: Leading pharma companies need to pursue a highly integrated development strategy with a patient-centric view. The target product profiles (TPP) need to include components of the comparative effectiveness, quality of life and medical value driven frameworks. A clinical trial end point strategy has to link innovation to meaningful, real-world benefit for the patient. The biggest challenge in such kind of integration is arming the development teams with a plethora of information on patient’s needs, comparative effectiveness paradigms, and stakeholders’ expectations, and ensuring that relevant value parameters are represented in pivotal global trials. It requires top down commitment to a highly customer-focused vision and development strategy centered on both scientific quality and relative medical value. The commitment needs to also couple with an organization’s intellectual ability to gain shared understanding on data required to satisfy hard and soft end points/comparators/differentiation requirements and having the capability to execute such broad based evidence generation strategy successfully in a clinically, regulatory and payer focused environment . Dr Usman Iqbal MD, MPH, MBA, is the head of Oncology Global Evidence &amp, Value Development at Sanofi, where he is responsible for developing product value for Sanofi’s oncology/hematology portfolio through strategic development, execution and translation of evidence based research throughout the lifecycle of the products. His health care experience spans clinical medicine, health policy and management, health economic &amp, outcomes research in both academia and biopharmaceutical industry, including Amgen and Boehringer Ingelheim. Dr Iqbal has broad based experience in building value and product differentiation across multiple therapeutic areas including oncology, respiratory, rheumatology, hepatology, and mental health. Prior to working in the industry, Dr Iqbal was at the Boston University Health Outcomes Technology Group as a senior research fellow and served as a research consultant for Veterans Affairs Pharmacy Benefit Management (VA-PBM), the Centers for Medicare &amp, Medicaid Services’ Health Outcomes Survey Initiative (CMS-HOS), the Agency for Healthcare Research and Quality (AHRQ), and the National Committee for Quality Assurance (NCQA). His research experience encompasses outcomes evaluation in large integrated health care systems and databases with a specific focus on comparative effectiveness, disease management, patients’ health related quality of life, and risk-adjustment methodologies. Dr Iqbal received his MD from Allama Iqbal Medical College, Lahore, Pakistan and Master of Public Health and Master of Business Administration from Boston University. How can pharma better integrate payer’s requirements into product development?